Sending over those multi-gigabyte 4K resolution videos over to your friends is a bit of a chore, ain't it? Well, Wispeo thinks it's got a solution. Available on Android and iOS, this app lets users send high-resolution videos and photos to anyone with an e-mail address — up to 3GB in total size! How does that work? It happens with the power of the cloud, of course! Your files get uploaded to Wispeo's cloud server and stay there for two weeks. In the meantime, both the sender and the recipients receive an email with a download link. It leads to a page with previews of the photos and videos. If there are multiple files sent, they can all be downloaded at once in a .zip archive. Wispeo can access your phone's media library and contact list for seamless use. You can be notified when the files have been delivered, and also choose which formats you'd like your video files to be converted into, as transcoding is always an option. One can also attach a message to the files, as Wispeo is, essentially, an email app made for content sharing. 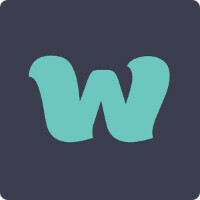 Available on Android and iOS, Wispeo is free and can even get used on the web.